Greater Orlando Actors’ Theatre has given up on moving back into its onetime home at 669 Cherry St. in Winter Park, board member Paul Castaneda says. The group did about half a dozen shows at the Cherry Street building in 2009 but had to leave it early this year because of problems with Winter Park city codes. Both the landlord and GOAT itself put in money to bring the building up to code. (Bathrooms and egress were among the problems.) But Castaneda says the cost kept rising and eventually it just became too much. Now GOAT is looking for a new space — and its members know a lot more, Castaneda says, about what to look for. 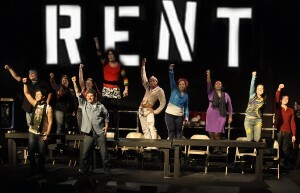 They also know more specifically what shows they plan to do in the coming year — shows that likely will take place with at Lowndes Shakespeare Center, where they did Rent and Some Girl(s) in 2010, or in another rented space. Only two of those coming shows are set, though. The first is the Elton John-Tim Rice musical Aida, which is scheduled for Jan. 28-Feb. 13 in the Goldman Theater at the Shakespeare Center. Auditions will be announced next week. And the second is show for Fringe 2011 called Pandemonium, which will include theater, visual art and dance and will involve a collaboration with Emotions Dance Company. The Exonerated, the drama by Jessica Blank and Eric Jensen, with Dennis Neal among the cast. A Steady Rain, a drama by Keith Huff, directed by Neal and with John DiDonna among the cast. Frankie and Johnny in the Clair de Lune, the Terrence McNally comic drama, directed by DiDonna. The Women, the Clare Booth Luce comedy. Extremities, the William Mastrosimone drama. GOAT also is working on presenting a series of original full-length plays and is talking with Orlando Shakespeare Theater about producing a once-a-month cabaret series in the Shakespeare Center’s Patrons’ Room. Castaneda acknowledges that GOAT has had some setbacks in the past year, with the trouble over its Cherry Street space and also with a number of group members pulling away. But those difficulties, he says, have led to strong collaborations with other theater groups in town — especially with DiDonna and Empty Spaces Theatre Co., with producer Beth Marshall and with Orlando Shakes. This entry was posted in Auditions, Cabaret, Community theater, Dance, Fringe festivals, New plays, Orlando theater, Other arts, Performance space, Uncategorized. Bookmark the permalink. Just as when we started in a church bingo hall years ago or did shows at The Cameo for a brief time, this is but another opportunity to move GOAT to its next phase of growth and collaboration with the community. Cannot wait for ’11! Ongoing and constant support, my friend. and so GOAT does what GOAT does.. ever evolving and coming out sweeter than before! Happy New Year GOAT !